What can I say? 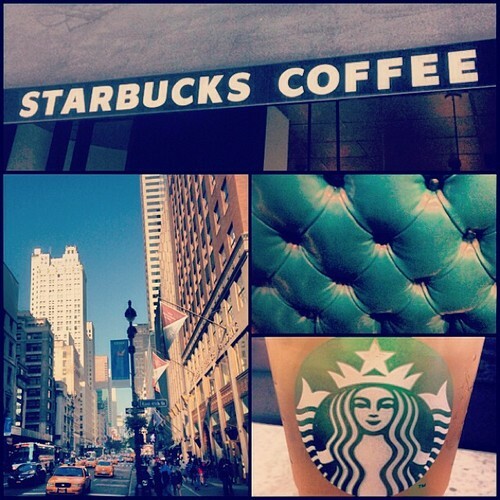 When I see the opportunity to hit up two Starbucks in one day, I just can’t help myself. 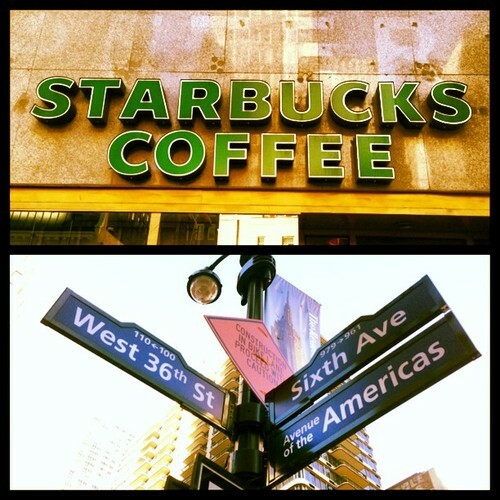 Besides, the Starbucks on 93rd & Broadway is mere yards from the Starbucks on 95th street. And I’m rarely on the Upper West Side so I figured two birds, one stone. Or should I say: two blogs, one day. After visiting both of these UWS Starbucks, here’s my concluding advice: If you find yourself in the area, definitely visit the Starbucks on 93rd & Broadway over the one on 95th. Not only is it bigger, but it offers much more seating. It actually has two large seating areas and still is much less cramped than its sister store to the north. The seating is also more personal — tables-for-two instead of communal seating. But the lines at both stores are equally sized. So I guess what I should say is that if you’re looking for a cup of Joe on the go, pick your poison. 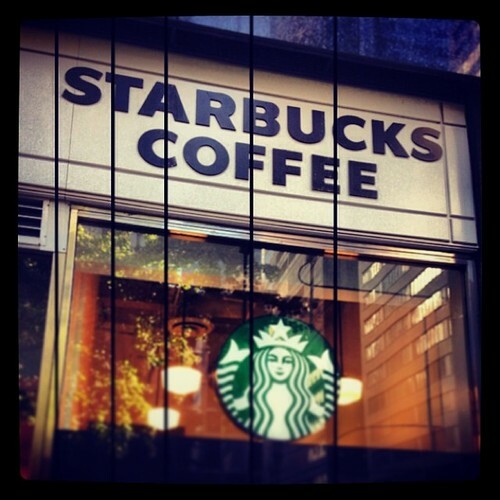 But if you’re looking to stay awhile, this Starbucks is your best bet. 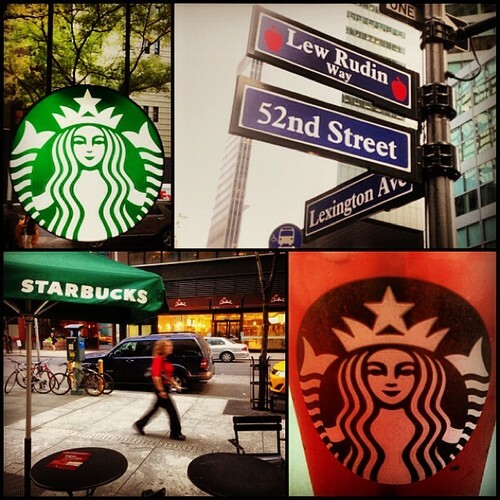 The Starbucks on 52nd & Lexington is located on a small section of 52nd street that has been dubbed Lew Rudin Way. The apples on the street sign made me think he must have been some great educator here in NYC, but as it turns out he was a great landlord instead. Alongside his brother, he headed one of NYC’s oldest real estate dynasties and was a strong civic booster. Doesn’t sound like your typical landlord, right? He died of cancer just after 9/11, and this portion of 52nd street was renamed in his honor in 2002. 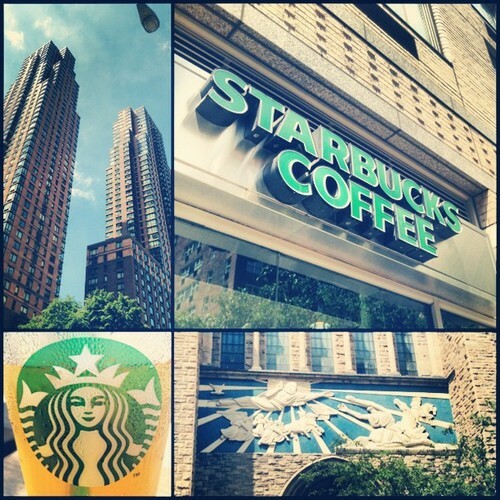 The Starbucks on the corner of Lew Rudin Way is impressive for a Midtown location. It even has three outdoor tables right there on the sidewalk. Obviously, this is an added perk that most NYC Starbucks cannot afford; however, the fact that the tables have no barrier what-so-ever from the street crowd is a little unnerving. Plus the WiFi is really shoddy out there. But never fear, there’s still plenty of seating inside. While waiting in line at the Midtown Starbucks on 45th and 5th Avenue, I couldn’t help recalling a conversion I had just had with a classmate this morning. We were discussing the noticeable increase in Starbucks lines and speculating what’s causing it. She suggested that the PSL (Pumpkin Spice Latte) is to blame — the increased demand for espresso based drinks has caused people to wait longer in lines. I suggested my weird and elaborate theory of the coffee shop migration patterns of New Yorkers — clearly, still working out the details. Clearly the PSL theory is more plausible. But standing in the stagnant line a new theory came to me: The Tourist Effect. Simply put, tourists take longer to order; therefore, neighborhoods with more NYC landmarks (Midtown, SoHo, FiDi) are apt to have longer and slower moving lines. I mean no prejudice or xenophobia, but generally tourists are less familiar with the Starbucks menu and more likely to run into a language barrier with their barista. 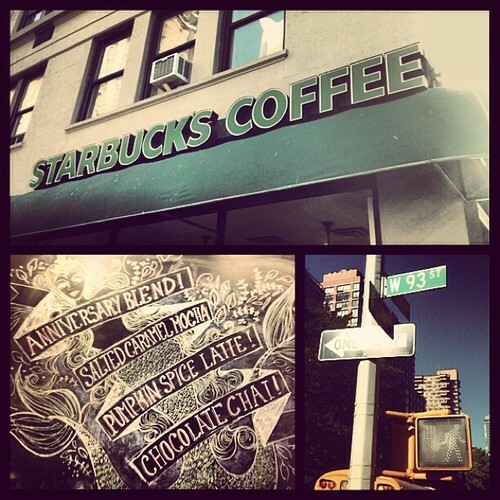 The result: confused baristas, longer lines and frustrated New Yorkers. 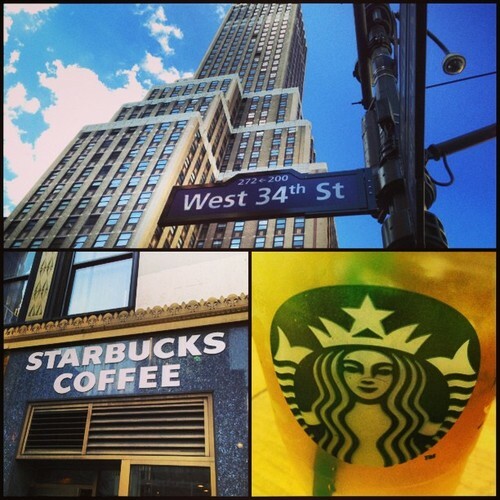 The Tourist Effect was in full swing today at this Starbucks. I helplessly watched as the young woman in front of me struggled to place her order and the barista put his best ear forward. You want an iced tea with mocha sauce? That was his best guess and all I needed to know that I’d be here a while longer. But, alas, after a few more trails and errors she was able to order her drink and me mine. Now I sit here and overhear similar situations play out every 5-10 minutes. And the line just keeps on coming. Luckily, half those who enter are deterred once they realize this Starbucks has no bathroom. And probably this fact alone protects the long teal sofa and high chairs from being overrun with squatters. 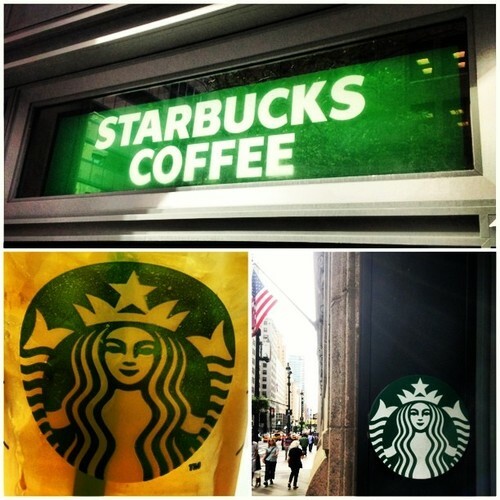 Fortunately, this Starbucks has plenty of shopping right outside its doors. You know, just in case you need some retail therapy to help you cope from the stressors of long coffee lines. In no other neighborhood in New York is space as valuable as it is in Midtown. The Starbucks I’m currently sitting at on 41st and 3rd literally looks like it was once a retail space that was cut in half. And why not? Two small stores in Midtown means double the rent and twice the chance of profits. It’s a win win. Or, at least it is for all who aren’t claustrophobic. But then again. This area of Midtown-East that borders Murray Hill and Turtle Bay is mostly catering to the business crowd. So most patrons probably aren’t inside this Starbucks any longer than it takes to add milk to their coffee and then scram. This also means this Starbucks closes extra early. In fact, it’s closing time now. 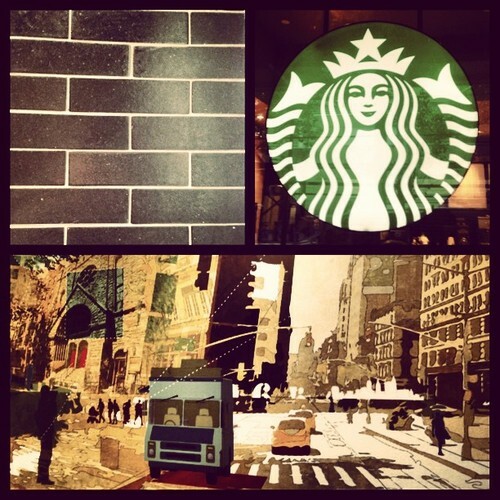 Somewhere between Kips Bay, NoMad, Rose Hill and Gramercy exists the stylish Starbucks on 24th and Lexington. Although currently covered up with construction piping, once inside, you’ll find this Starbucks has a certain aesthetic that’s both bright and clean. 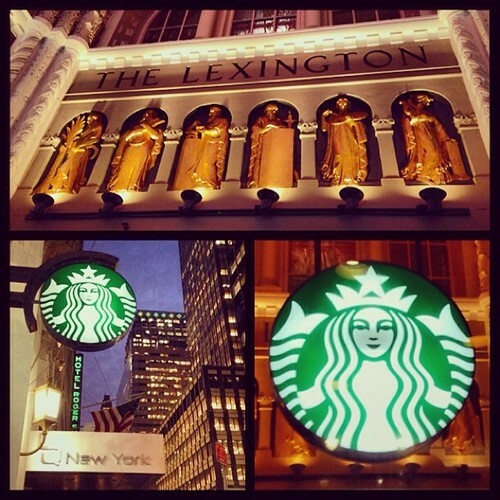 No, it’s not a big Starbucks. Nor is it in the most convenient location. But it was well thought-out and executed. This Starbucks has two items that are unique to this location — from what I have seen so far, anyway. First is this split level communal table made out of sanded maple wood. It almost looks like a carpenter’s workstation and can sit 8-10 patrons easily. I’d also like to draw attention to the mural you see pictured above. It’s totally NYC in the fall, which is very appropriate since summer is slipping away. Speaking of — I’m going to go out and enjoy this warm weather while I still have time.